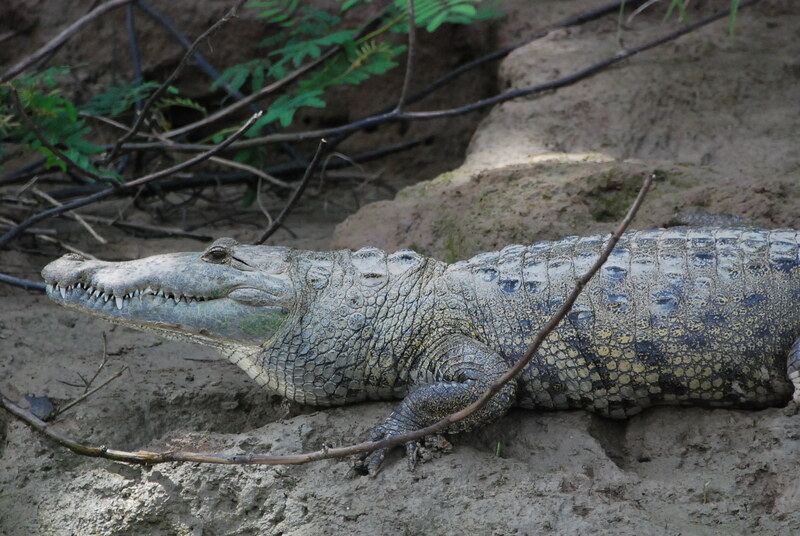 Yaxchilan: Remote Mayan Site in Chiapas Jungle–Get There By Boat! 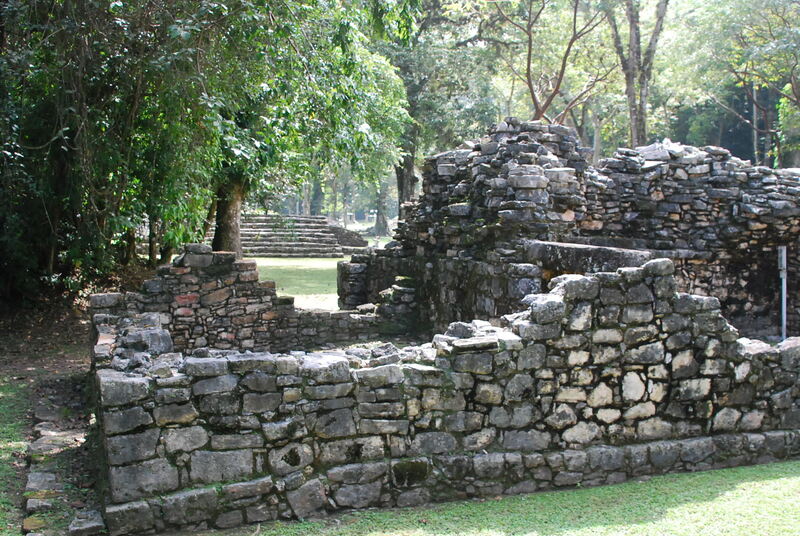 Yaxchilan (Yash-chee-lahn) is situated on the high banks of the Usumacinta River that borders Mexico and Guatemala, three hours southeast of Palenque. 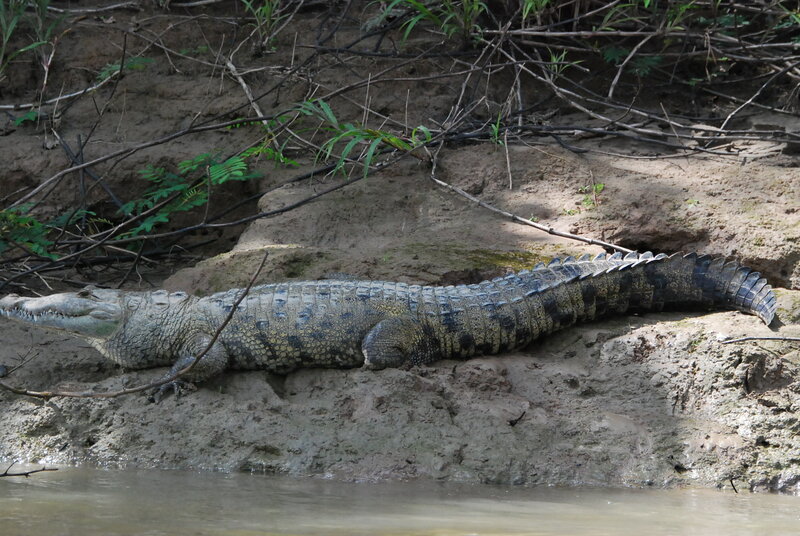 The secluded ruins are in a dense jungle only accessible by river boat, a good 30-minute ride from the launch site. The boat ride is a wonderful transition from now to then. 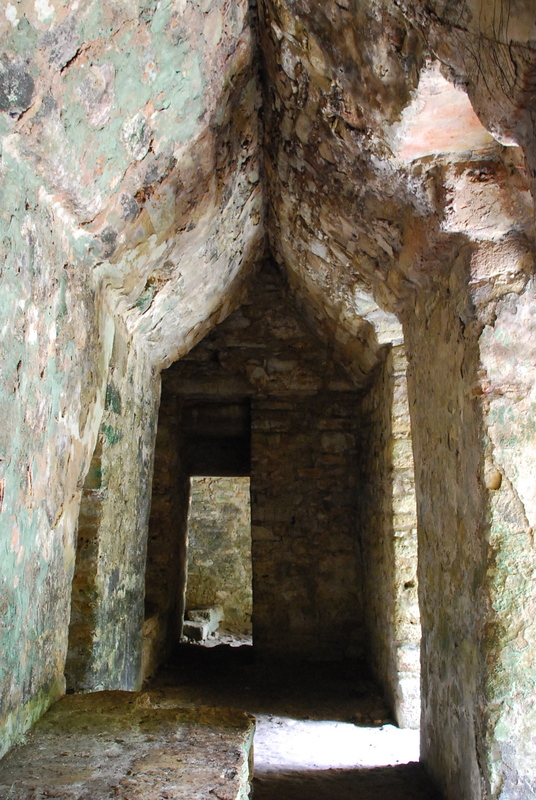 In years past, Lacandon Mayas made this passage in open dugout canoes. Today, the wood-planked boats are covered in palm thatch. 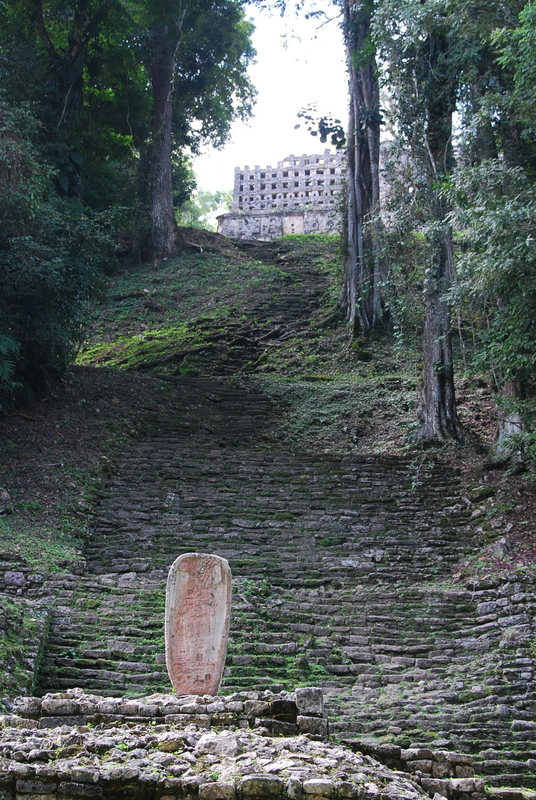 Yaxchilan rivaled Palenque (Mexico) and Tikal (Guatemala) as these three “super-powers” vied for control over the surrounding lesser Mayan centers that provided food, tribute and able fighters. This magnificent archeological site is worthy of several hours of your time. 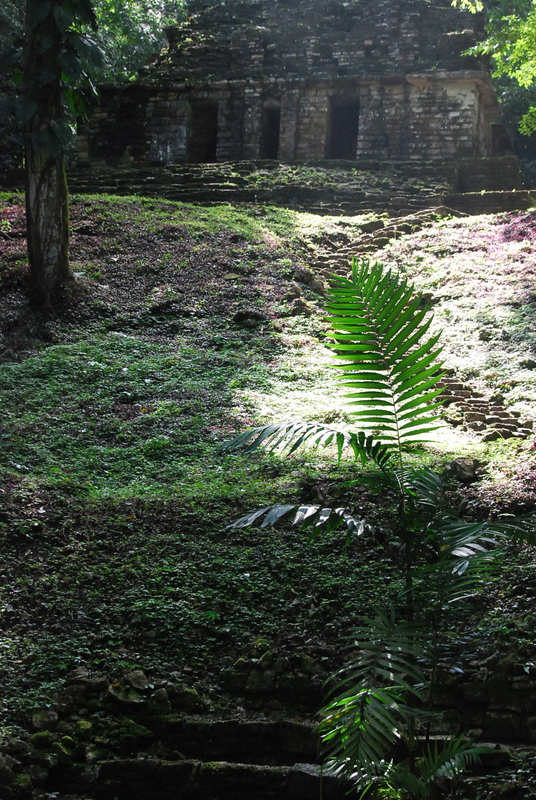 It is a space that is dark jungle, moss-covered, limestone rocks tumbled and crumbling, and with only the beginnings of a restoration in process. As you walk into the space you feel as if you were an archeologist discovering it for the first time. It speaks of antiquity. 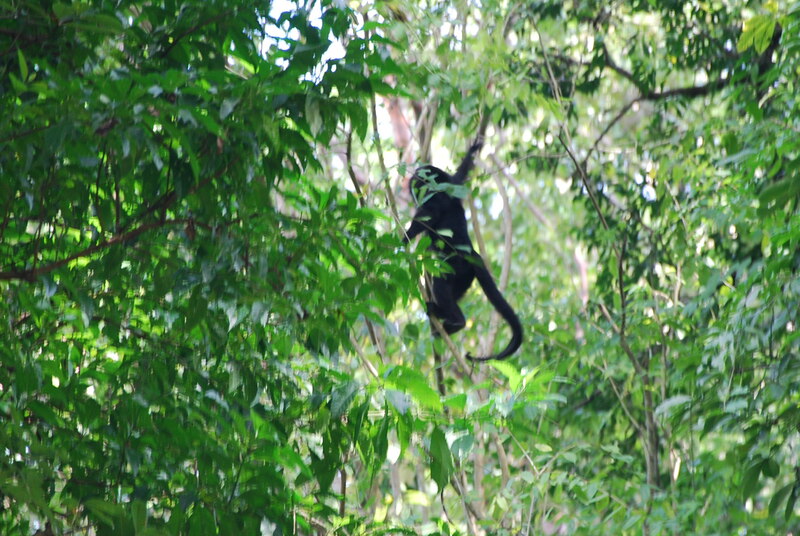 The howler monkeys calling back and forth across the river are haunting, adding a sense of mystery to the place. 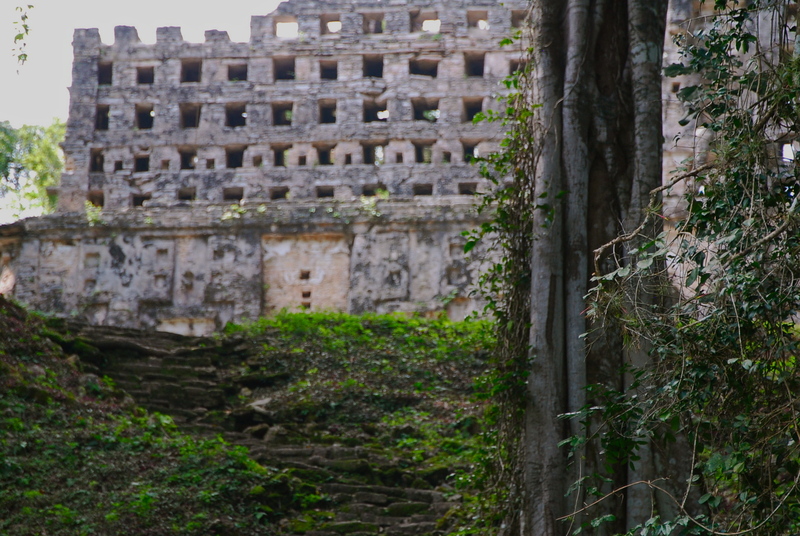 I pass through a compact Mayan arch into a vast plaza. 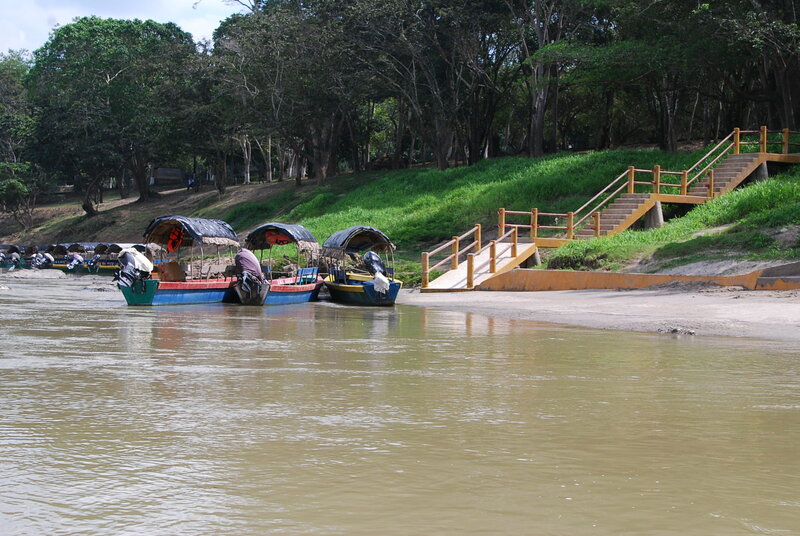 Situated high on a river bank, the site offers a strategic location on the wide and magnificent Usumacinta River, testifying to the power and influence of this once-great city. 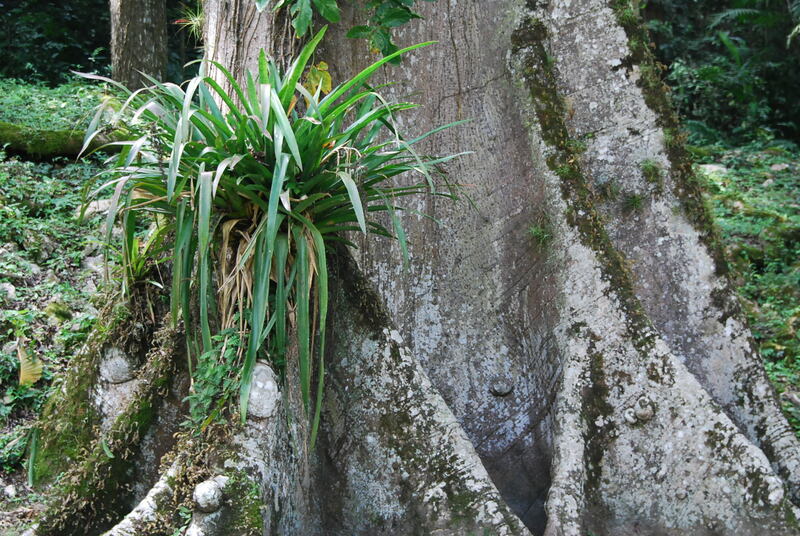 Huge bromeliads hang from hundred foot high trees with mahogany colored trunks. I walk beneath a tall canopy of leaves, vines, roots and flowering succulents, careful not to trip on toppled stones. 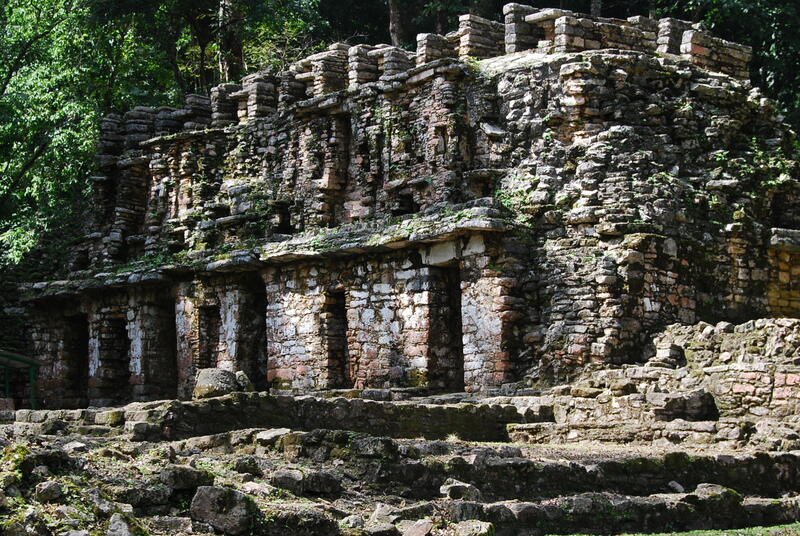 Yaxchilan is probably like Palenque was 30 years ago. The only nearby lodging is at the boat launch site, where there are also a couple of good restaurants. 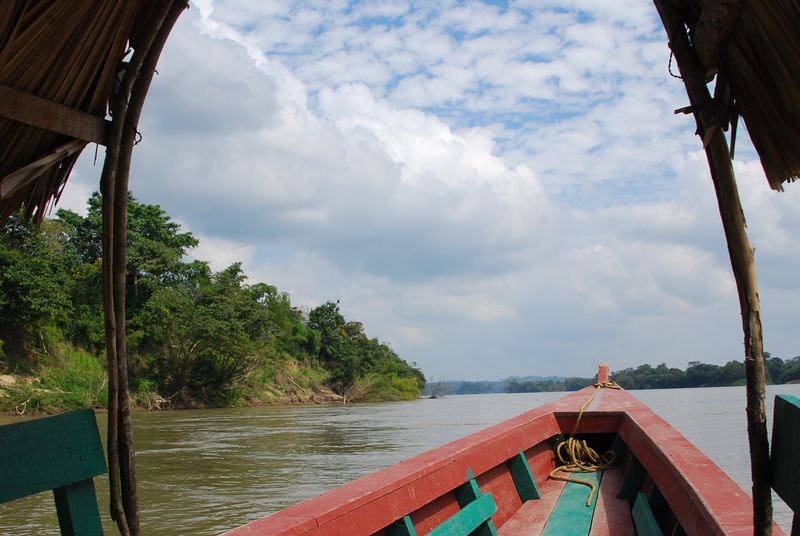 If you contact Daniel Chank In, the Selva Lacandon guide, he can help you make lodging and boat travel arrangements instead of taking the cookie-cutter day trip. The languages of travel are Czech, German, three varieties of English (Brit, American, Aussie), Spanish, French, Dutch. These are my traveling companions. 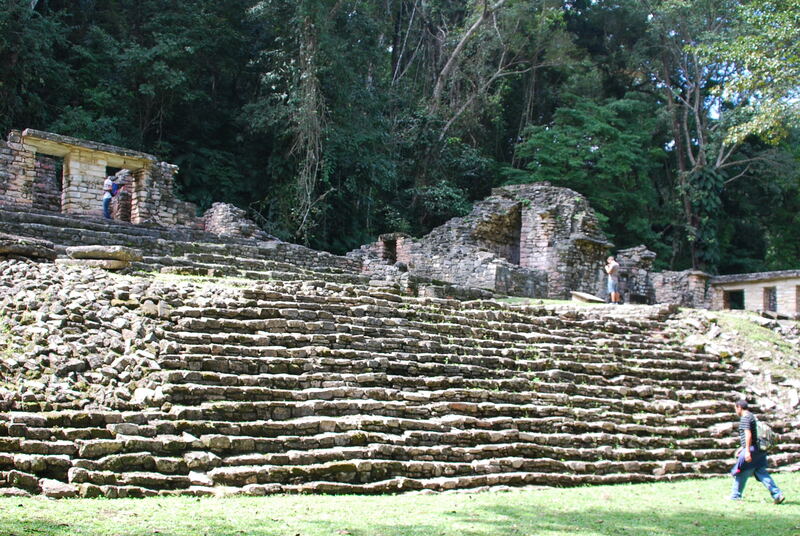 In Palenque they speak Chol. We stopped for breakfast at a simple comedor with tree trunks for stools and a dirt floor and GREAT coffee, dark and rich, locally grown and organic. I have not been sick since I arrived in Mexico a month ago. We are western women taught to cover our breasts, be modest. From the window of the van I see a woman at the water source, one large breast exposed, suspended, full of milk walking toward a toddler waiting for nourishment. Plank wood and palm thatch cover the humans at night. Shelter is simple for man, woman, cows, chickens. Chiapas, siempre verde is the state motto. It is always damp here. We are on flat land now, clear-cut for growing corn and lumbering, heading toward the frontier. Maize scrabble, hard-scrabble, bare feet, dirt, bare chests, men at work with machetes. We pass a sign: This is Zapatista country. Land of campesinos. Grazing land, cattle, horses. 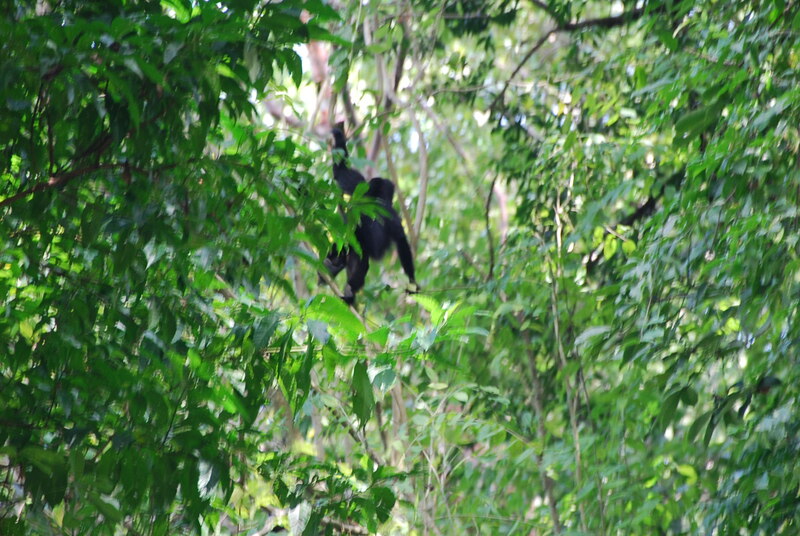 Ceiba trees, overcast skies, animals are thin I see their bones. We pass through pueblos of resistance, a village sign announces this, the sign is rough wood with white paint. The land is flat, vast, green scrub. This is the road to the Guatemala border. We pass military sentries, checkpoints, men heavily armed, some masked. Put your cameras down and cell phones away, says the driver, as we approach one. They wave us through. On the way back, away from the border, we are stopped and I show my passport. Of course they are checking for drugs and I know that the pipeline works its way across the river through the jungle to the vast cities and towns of America where demand keeps this business in business. Did I feel in danger? No.